We are dedicated to providing bar owners, managers and inventory service providers with the latest bar inventory innovations. With state of the art device integrations and software, we take the pain and frustration out of your beverage auditing. Our cloud based systems provides you with the correct up to date insights on your business from anywhere in the world. 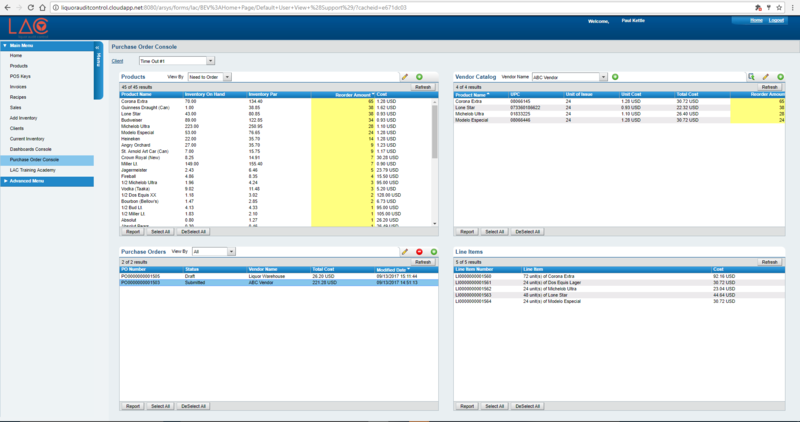 Our unique software licensing solutions offers anyone the opportunity to get involved in the liquor inventory business. Liquor Audit Control provides a cloud-based solution for liquor auditing and stock control. 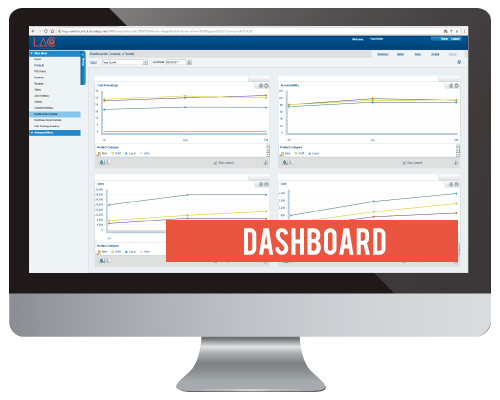 LAC provides state of the art enterprise level dashboard reporting in five major performance categories accessible from your web browser. 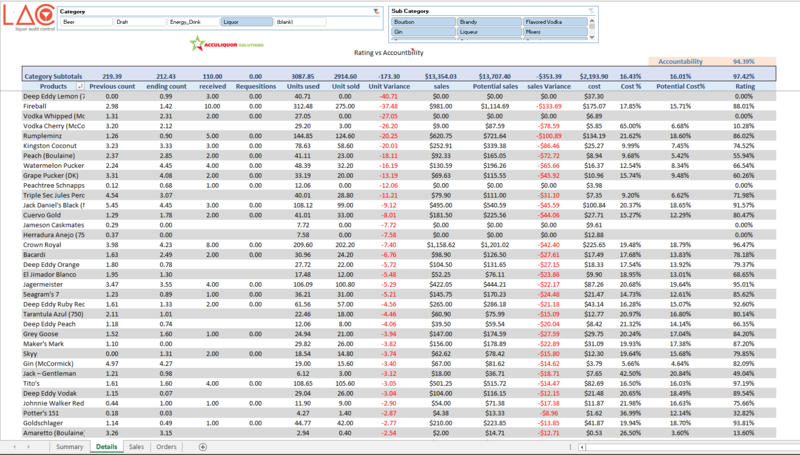 Owners and beverage managers can view real time results and performance history critical for making business decisions. Simply log in and select any number of venues you may own or manage all at your fingertips. 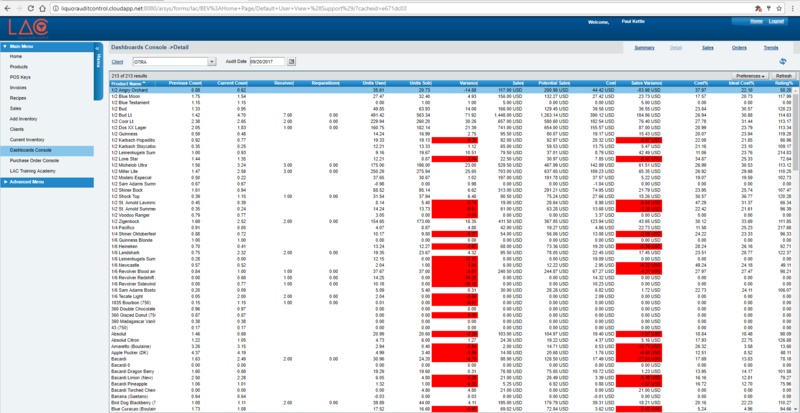 LAC systems can generate and export these reports in a variety of formats to include excel, and PDF. 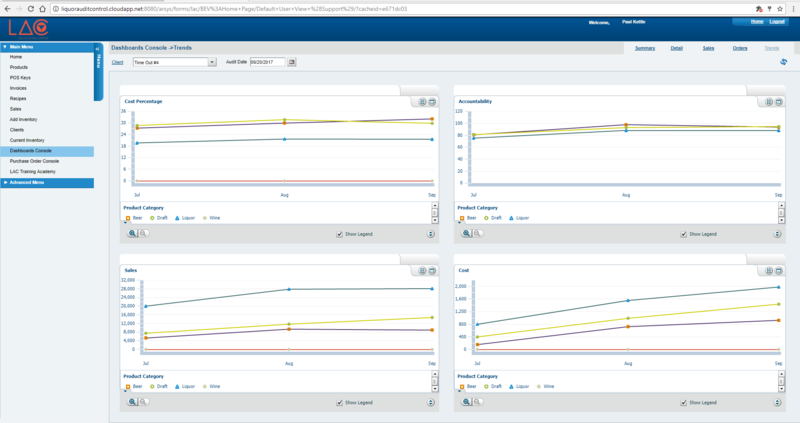 Users can create any number of custom reports based on their own criteria in the same format. 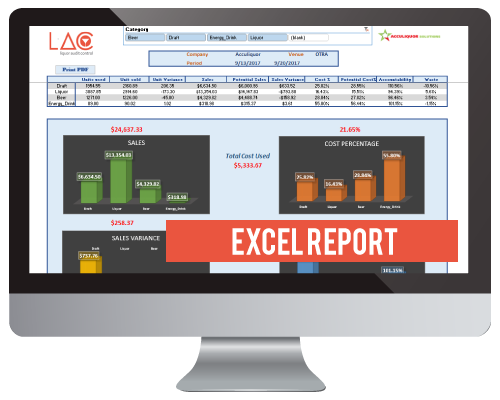 LAC provides state of the art macro enabled excel dashboard reporting in all major performance categories. 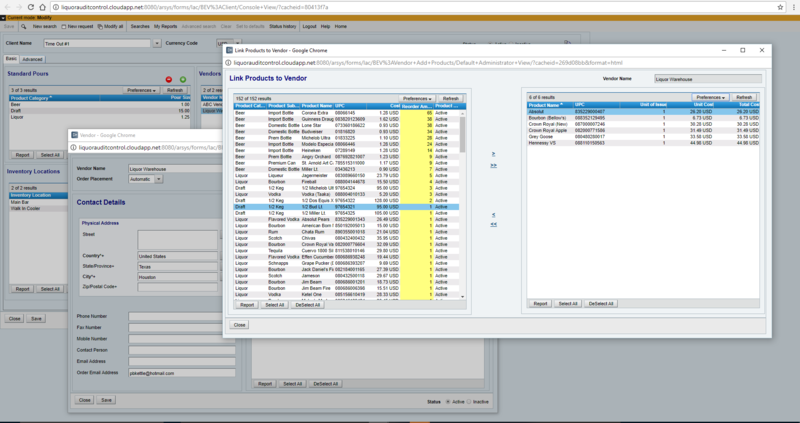 LAC provides a comprehensive module to manage Vendors, Vendor catalogs and purchase orders. 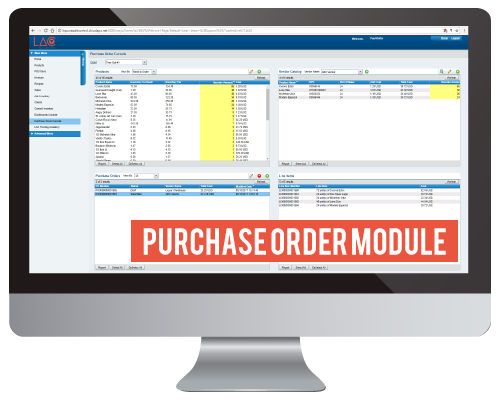 With a few clicks, submit a purchase order to your vendor with an automated e-mail. 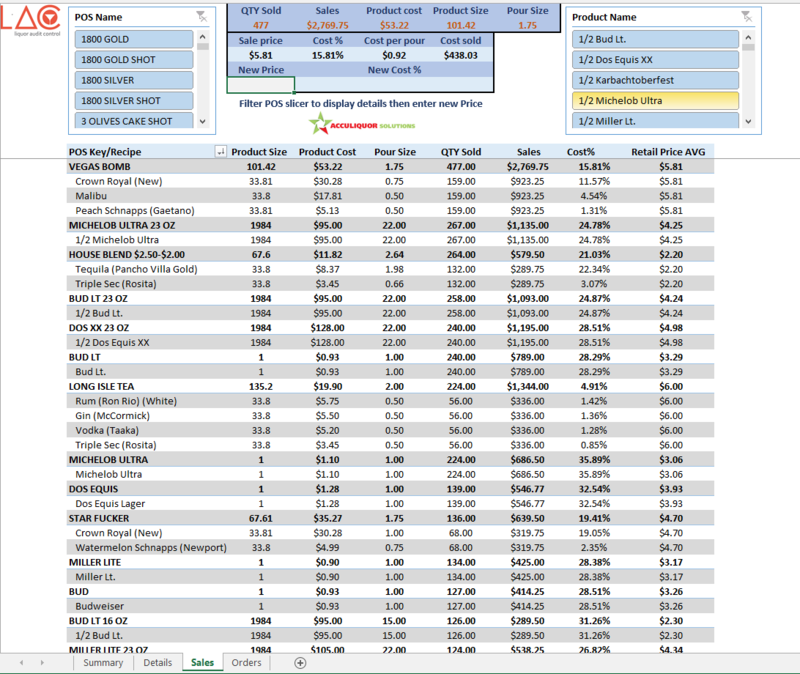 Par levels and order amounts are calculated automatically based off your criteria in the setup. 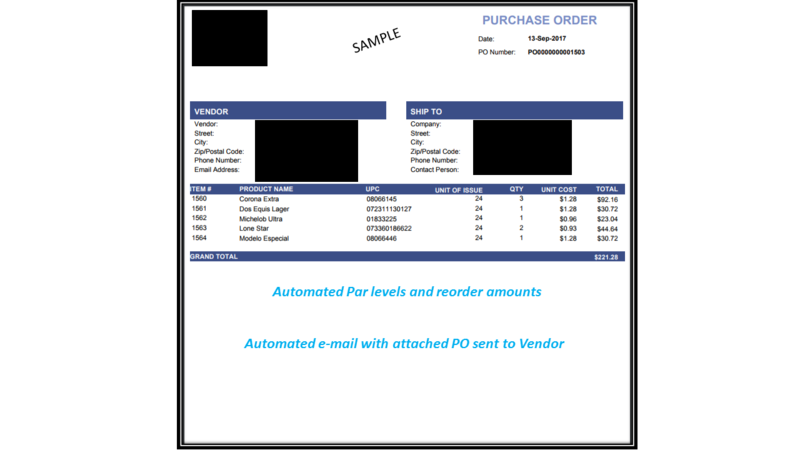 Once invoices and products are received, a few click and all invoices are automatically entered for the inventory cycle and you are done. We take the pain out of ordering! 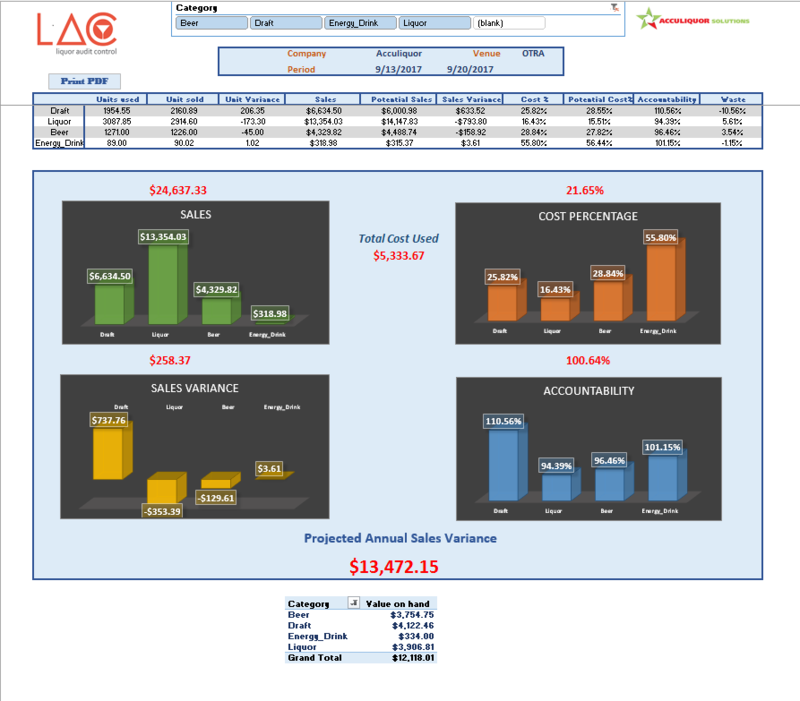 Venue owners and Beverage managers finally have a real cost effective enterprise solution to manage beverage stock. Options include managing your beverage stock completely or with the help of our professionals. If you are an inspiring entrepreneur wanting to start your own bar inventory business, LAC has you covered. LAC offers opportunities to individuals who would like to get involved in the Beverage inventory business. If you have extensive bar management experience and would like to put these skills to use in a way that allows you to build your own business, then this may be a great opportunity for you. We offer affordable subscription based products to help your Audit business be successful. Earn six figures with little overhead, or debt.